Riding a 125cc dirt bike is an exciting but dangerous experience. You may have ridden a normal scooter for years, but things are entirely different with the dirt bike. It needs enormous skills to become a dirt biker. With dirt bike, you surely need to shift gears quickly according to the road. For example, the rider needs to travel smoothly in the first gear where the dirt is heavy. And when he/she finds a little dry patch, he /she quickly changes gears to pump up the speed. If you are interested in riding a dirt bike, one of the basic things that you need to learn is gear shifting. Many heavy bikes provide a similar gear shifter, but it is about when and how to step down on the lever. A 125cc bike is completely different from other dirt bikes, when it comes to gear shifting. Doing is smoothly is the key, otherwise your bike will either slip or rise off the ground. First of all, you need to take necessary safety measures. Dirt biking should not be done without essential equipments, such as helmet, shoes and elbow/knee guard. If you are handling a 125cc bike for the first time, you should take guidance form an expert. It is not tough though. 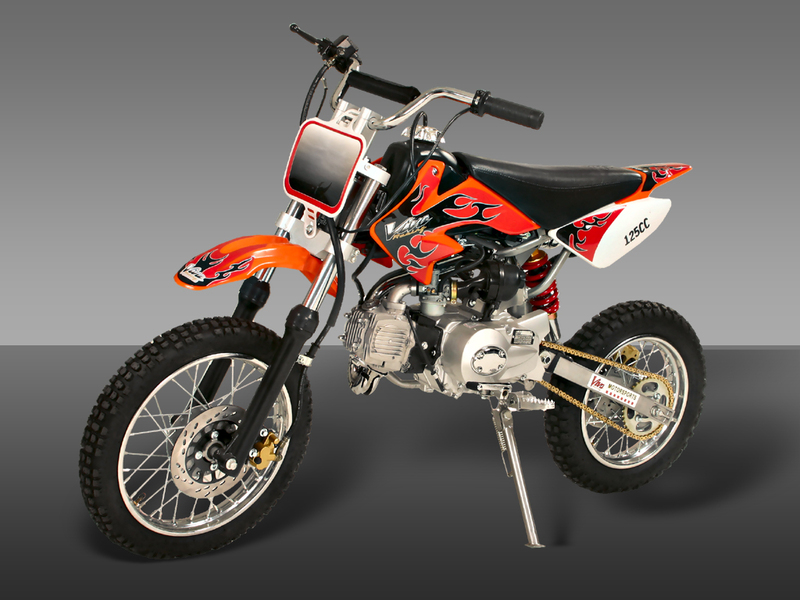 Start your 125cc dirt bike smoothly, making sure that you are giving no throttle. Once the bike is started properly, pull in the clutch and prepare yourself for the first gear. Shift the bike into the first gear is not that hard. After pulling in the clutch, you just need to smoothly step down on the shifter. You may feel a little movement in the bike as you push down the shifter. There is nothing to worry about. Now, it is the time to release the clutch slowly while giving only a little amount of throttle. You may add a little more throttle once the bike starts to take off. Giving throttle at once could prove devastating. As a result, you may find the front wheel of your bike rising off the surface. Don’t speed up your bike too much in the first gear; otherwise, the engine might get damaged. Smoothly tap the rear bakes to reduce the speed. Quickly pull in the clutch for the second gear. You are required to lift up hard on the shifter lever for the second gear. Again slowly release the clutch while giving some amount of throttle. Repeat the same action to shift up and down between the gears.